Entry Level: A strong resume is a key to the job you want, but putting together a list of your qualifications and relevant work experience can daunt you if you are a recent graduate or a person who has just stepped into the world of professionalism. 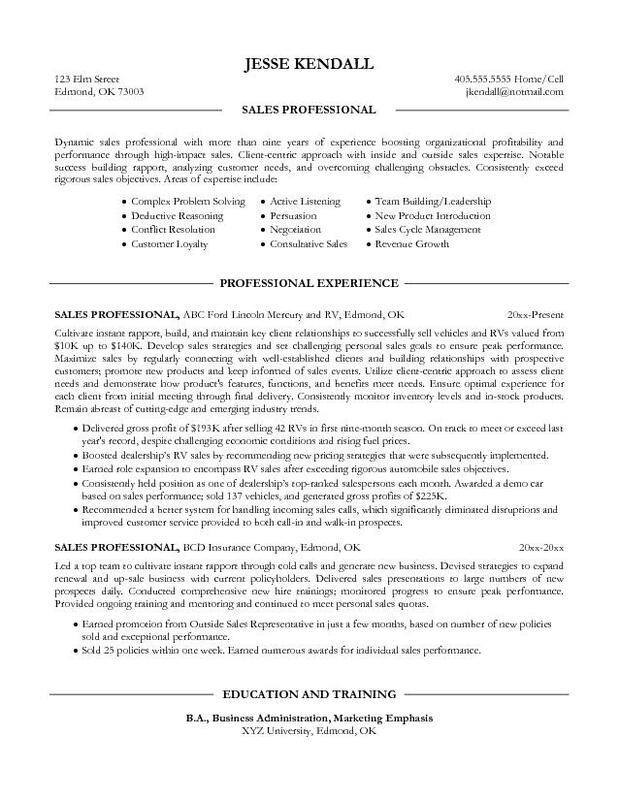 An entry level resume template like the one present here can help you to structure and organize your document so that you can present your information in a way that comes off as organized and engaging. If you’re someone who hasn’t had an extensive career then it would be better for you to focus on highlighting your education and the skills acquired from the extracurricular or outside activities, like organizing, volunteering or club events. 2.Management: If you’re at the management stage in your career, you already know how important it is to deliver a well-structured resume as it is the first indication of your skills as an organized leader and will form your first impression on your employer. 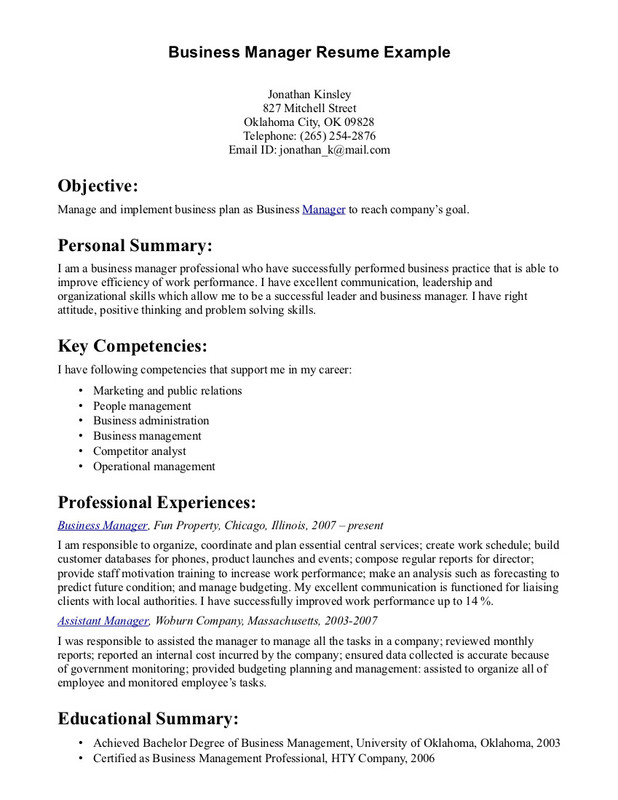 Use the management resume template as your guide and properly lay out all the qualities and accomplishments that have allowed you to move up the ladder and acquire the present position. 3.Experienced: Remember you are now an experienced employee hunting for a new position in a reputed organization, therefore, create a resume and distinguishes you from those of entry level and junior job seekers. You should go back to the days when you started working, concentrate on a track record of accomplishments, hurdles, and challenges you faced and proven successes. Draft your own message taking this template as you guide and outstanding in front of the potential employers. Elevate your core competencies and most relevant contributions keeping your educational information lower on the page. Start with a summary that sends a clear message and then document your core abilities and professional highlights. 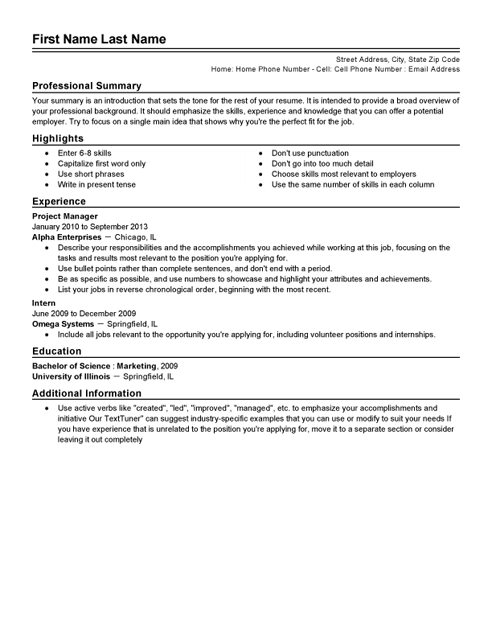 4.Contemporary: Modern resumes feel light and sleek as they offer a clean and elegant sense of formatting. They are efficient as it provides a comprehensive picture of what you can do without leaving out anything. Hence, presenting your information in a way that’s easy to read and remember. Give it a unique heading that stands out followed by a concise summary and then a description of your core offerings or rather a list of your past positions. 5.Traditional: If the person you are sending to is relatively a conservative hiring manager who respects the status – shape your document around these basic four timeless elements: summary of your qualifications, a brief review of your education credentials, a list of your core capabilities, and a description of your most relevant past positions. Put and present your items in order, so your employers will know exactly where to find the information they are looking for. Make sure your resume can be downloaded and reviewed using simple software tools and avoid using graphics, image files, and non-functioning links. Your willingness to grow, learn and handle challenges that lie ahead. To begin writing a summary of your strongest credentials, your core accounting abilities including your software competencies and client management skills. 7.Administrative: If you’re searching for an administrative position with a large firm, a small company, a medical office, a warehouse, or another busy workplace, you’ll need to prove that you can handle back-office burden. Use your resume to emphasize your experience with scheduling, invoicing, and budget management, and shine a spotlight on your ability to handle multiple complex tasks and keep a cool head under pressure. 8.Computers and Technology: Employers in search of IT candidates don’t always have much IT experience of their own, so they tend to look for specific core competencies and keywords that can help them accomplish a challenging staffing task. Write a summary of your profile with a list of your areas of expertise (implementation, cyber security, etc.). Use bullet points to keep your list readable and searchable, and be sure to include your certifications and areas of proficiency. Follow your highlights with a brief description of your past positions and educational credentials. 9.Medical: You’re looking for a job as a medical technician, LPN, physician’s assistant, or support provider, and you need to convince your potential employers to hire you with just one short page of text. 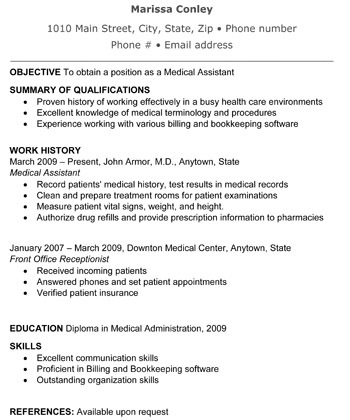 This could be tricky, but use this medical resume template to guide your language and formatting decisions, and you’ll create a document that sets you apart from the competition. Start with a summary of your most valuable contributions and areas of clinical expertise. Then list six to eight core competencies, separated by bullet points. Include patient management, administrative and technology proficiency as well as clinical skills with a summary of each of your most relevant past positions and a review of your educational accomplishments, including your certifications. 10.Customer Service: Hiring managers in the customer service field tend to look for candidates with relevant experience and the kinds of personality traits that lead to successful customer interactions, like patience and attention to detail. Emphasize on your sense of organization and clarity, showcase your past accomplishments. Create a heading at the top of the page and follow your heading with a summary of your strongest credentials with bullet points featuring your core skill sets before delving into a list of your past positions. Close your document by providing all relevant degrees and diplomas, plus any additional information you’d like to share. Resumes have some similarities to the advertisements. As in the case of advertisements, it’s important to decide what is the plot similarly in the case of resumes it is the format. The format is the basic thing you will have to consider and use before you begin the resume writing process. Each resume type is useful for different purposes hence, deciding which type of resume to use depending on your personal circumstances. Below given are the definitions of each type and recommendations on which format works best and where you should use them. Once you have developed your resume, post it online at various job seeking sites and begin your job search today. What is it – Chronological resumes are the most commonly and widely used format as it provides a synchronized information, which is easier to read and understand. In this type of resume, the work history is listed in chronological order, starting with your most recent job down to your earliest. This resume is mostly preferred by most employers because it provides a quick snapshot of work history, with most recent positions up front. Who should use –When you set to use this format, remember that you should have no lapses between employment. If you have a solid work history, your experience is aligned with the job you are applying to. What is it – Functional resumes focus on your skills and experience first Unlike the chronological resumes which focus on listing it based on its occurrence. This type of resume de-emphasizes the dates in which you have worked. Employment history is secondary and is listed under the details of your skills. Who should use –This is the most effective type of resume if you are a person who has lapses in employment, or in the middle of a career transition, are a recent college graduate with limited work experience, or have a diverse background with no clear career path. What is it – Combination resumes allow you to explain in detail both your skills and experience, while also providing proofs for each of it and backing this up with a chronological listing of work history. This type of resume formats is flexible in nature and lets you tailor to the prospective job opening and tell hiring managers a story of your career path. Who should use – If you want to detail work experience to show hiring managers the type of employee you are then this is the appropriate format for you to use. What is it – Targeted resumes are customized in detail to the prospective job you are seeking that includes everything from your objective, your qualifications to educational experience mirrors the job requirements and other relevant information about your career. Who should use – These resumes are the most time-consuming, but can generate the best results as the qualifications and experience you outline mirror the prospective job opening closely. When you develop a targeted resume, you need to be as accurate as possible and not embellish career highlights simply to mirror the job. Business: Landing a position in business development requires you to pitch your most relevant skills to potential employers, skills that may include marketing, sales, client management, and fundraising. Use your resume to frame yourself as an expert in these areas, and highlight your past accomplishments to demonstrate the bright future that lies ahead, for you and also those who are smart enough to hire you. Start with a concise summary of your profile. Put few clear bullet points that showcase your most marketable skills. Provide a short list of your past positions, including your key responsibilities, the struggles, and hurdles you faced with the necessary measures that you adopted to overcome them and your accomplishments. Close your resume with a summary of your education credentials and a section for special skills and additional information. 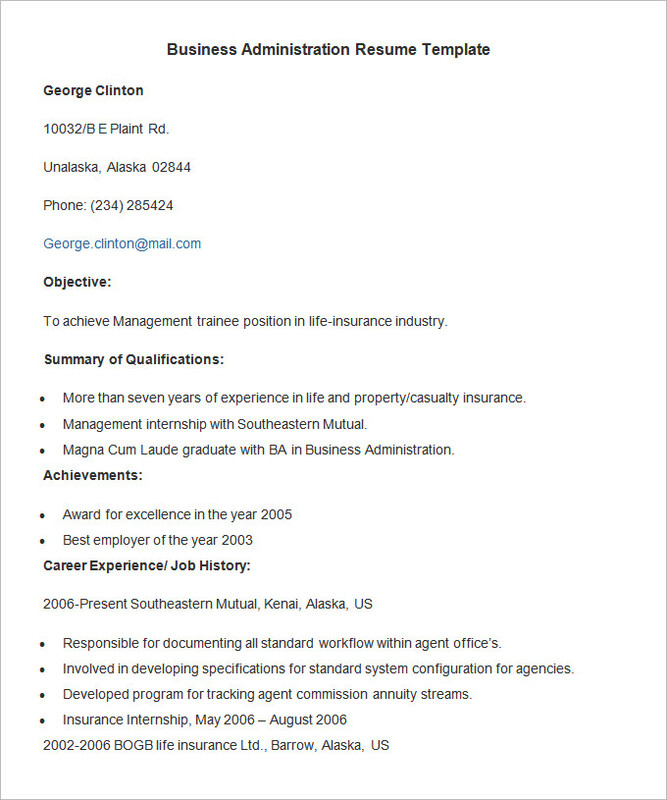 2.Professional: Use this professional resume template to organize and format your own document as you apply for positions in your industry. Some employers use alternate methods to screen candidates, including web-based forms, questionnaires, or their own unique systems. If your target companies don’t specify an application method or provide detailed instructions, just submit a straightforward, traditional resume document and a standard cover letter. You can send both of these documents directly to the hiring manager or company HR office. Start your resume by creating a heading with your name contact information, followed by a summary of your key qualifications also create a list of bullet points documenting your most relevant skill sets. You can also add a description below your list of skills to describe each of your past positions and share some information about your educational credentials. 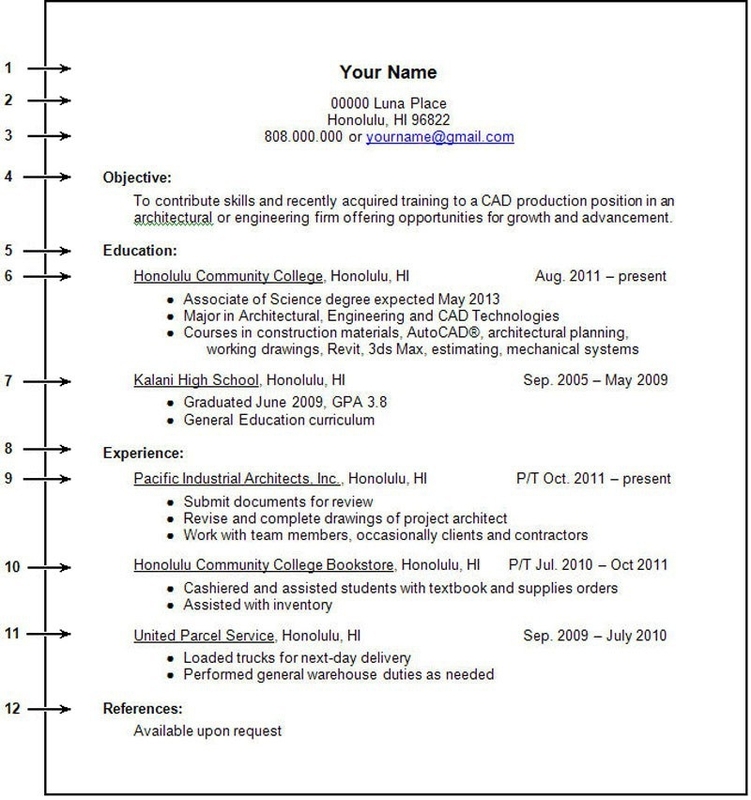 3.Engineering: This engineering resume template can help you draft a document that appeals specifically to hiring managers for engineering firms. 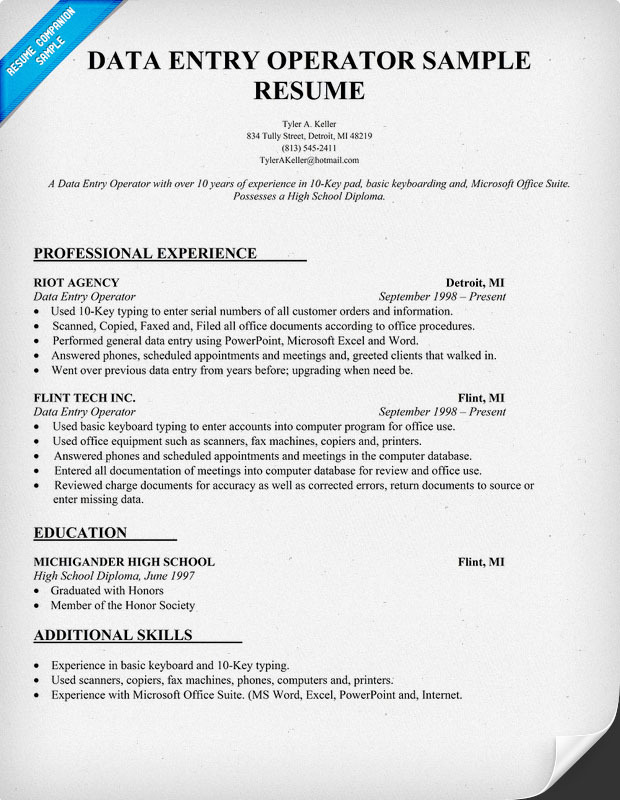 This resume will help you to skim, attract attention and is easy to remember. Remember to highlight the details that matter most and you feel are the crucial points that may affect the senior decision makers in your engineering field. Create a summary that emphasizes your strongest selling points, then move quickly into a list of your core competencies. These can include your software skills, your design and drawing skills, and your key talents as a project manager. Follow your core competencies with a list of previous positions, and include your most important accomplishments and responsibilities in each role. Then discuss your degrees and certifications, plus any additional information that can support your candidacy. a) Prepare a list of all your academic activities, the work-related skills, and responsibilities that indicate what you like to do and are willing or looking forward to doing in your next job. b) Refer a resume template either a chronological resume format or combination resume format and use it to format and design your own resume. c) Give your resume a concise professional title (for example, Chef) or your line of work (for example, Culinary Arts Professional) that explains your competencies in a single word or couple of words. Your years of experience: 20 years’ experience as a culinary arts professional, ranging from line cook to executive chef. Responsibilities: Background in hotel kitchen management, fast-food operations, and five-star restaurants. Others: One or two more statements that support your employment possibilities and take you a step forward towards your job. e) List your work history, including all jobs that support the full range of jobs you are open to. f) Write achievement statements for each job title. They should be about any and all things you liked doing and are willing to do again. Keep in mind that each of your target resumes should be tailored to a specific job or type of work. Starting with how to write your master resume, nowhere mentioned are the tactics of how to convert it into a targeted resume. Know what job you’re targeting. For example, Executive Chef at Hotel Crazy Horse. Identify the keywords that define your job objective. You can get this information from job posts on the company website or by conducting an online search for the type of work you seek. Make a copy of your master resume and name the new resume file for the targeted resume you’re creating. Get the right keywords in your target resume. If any are missing find a way to get them in there. Delete statements (even sections) that are not relevant to your job objective. In some cases, this may reduce the length of your resume quite a bit. Adjust your professional title at the top of your resume so that it more closely resembles the job this resume is about to target. For example: Executive Chef. Tailor your Summary section so that it contains only qualifications for your target job. Write achievement statements that focus on the relevant parts of each job, and focus your attention on the same skill sets which you would use in your target job for that resume. It’s absolutely fine to leave out tasks that don’t relate to your target objective, don’t stack unnecessary things and make your resume bulky. Review your target resume each time you use it to be sure it’s tailored for the specific job you’re going after. A resume is a professional document that describes you in front of the recruiter as this is the first screening process and can either lead to an open job opportunity or close the doors to many employment opportunities. Therefore, it is important to ensure that your resume template complies with the latest trends in resume writing and is free from spelling or grammatical errors. Due to increasing competition in the job market across all industries in the recent years, it is important for job seekers to build an exceptional resume which can help them stand out from a lot of the job seekers. Since you will only be able to demonstrate your abilities once you will be hired, it is important to make sure that you “are” hired by virtue of a well-written resume based on your skills and qualifications. You must build the attractive layout, section headings, and bullets of your resume. Read the job description carefully. Are you sure this is the right job for you? Be sure you understand what the company is looking for and confirm that you have relevant experience for this position. If you have a variety of past experiences, emphasize relevant experiences and accomplishments on the page so the recruiter can easily assess your qualifications. If you don’t have experience in the exact role or industry, include similar responsibilities or achievements and demonstrate on how those skills might translate. For example, list any technical certifications if you’re not currently in an IT role, or describe fundraising or volunteering experience if your retail sales background is light. Be specific…but don’t get lost in the details. It can be difficult to find the balance between providing enough information and going overboard. Your resume should tell us where you’ve worked, what you did in each position, and how you made an impact. You don’t need to include every detail, but if you were promoted, won a sales award, or created an awesome, budget-saving process, tell us about it! Same goes for a cover letter (which, for me, is optional): Do introduce yourself and note your interest in Microsoft, don’t recap your entire resume. Think like a recruiter. I spend a lot of time reading resumes, and the ones that make the best first impression for me are easy to read and tell me your story. What does that look like? Easy to read: The most important part of your resume is the content, of course, but out-of-the-box formatting can make it difficult to follow your career history. It can also distract the reader from the content itself. It’s one thing if you’re applying for a design-related position where presentation is super important, but for most positions you’ll be fine with commonly used fonts (anything like Calibri, Segoe, or old-school Times New Roman is nice), standard formatting (do you really need an info graphic? ), and minimal use of color. Tell the story: I like to see a chronological list of your previous jobs including your start and end dates (month and year are fine, no need to pinpoint the day) including any promotions. This helps me understand the expertise you built in each role and think about your transitions from one role to the next. How far back you go depends on how much experience you have: for a business resume, one page or maybe two is great. If listing every position takes three pages or more, maybe list only the past 10 years or the positions you’ve had since becoming a (Academic CVs are a different story!) I was asked whether education or employment is more important, and that depends: if you’re in school or a recent grad, definitely include school info. If you’ve been out of school for several years, still include it (especially if you temporarily left work to complete your degree) but specific information about clubs and courses is unnecessary. Have I listed my current location (city and state)? Most importantly: Has at least one other person reviewed this? Not only can a reviewer let you know if you’ve made a strong case for your fit for this role, it’s also easy to miss your own typos. Spellcheck is unreliable–if you meant “manager” but type “manger,” spellcheck won’t catch it! Typos can be distracting, and incorrect contact info can prevent us from inviting you to interview. A resume summary contains a brief overview of all your past work that have to lead you to reach the current position. It includes a list of your work history along with skills relevant to the position you’re seeking. It is often written in paragraph form of up to four or five sentences with a resume objective written at the very top of your resume. While a resume objective emphasizes goal-seeking and focuses on your future also highlight your past accomplishments in your resume summary. Consider this as a do or die situation and pitch yourself in the best possible way, it’s your chance to sell yourself to your future employer. What makes you the best person for the job? What are your values? Passions? Skills? Your resume summary should be authentic, a true reflection of your personal best. It should illustrate a track record of success and progression down your chosen career path. If you happen to be changing careers, share the narrative (briefly) of how you got from there to here. Avoid vague, cliched language and words that do not give full information, like “excellent communication skills” or “team player.” These are excellent traits to have but better expressed through a listing of specific achievements. Use industry-specific terminology where appropriate. Make it Concise, Without Long Blocks of Text: Remember the bullet list summary statement above? That could’ve been written as a paragraph, but doing so means adding extra words (articles, conjunctions) to turn the bullets into complete sentences. It wouldn’t be concise. As per a popular study, it is said that the recruiters spend an average of six seconds reading a resume and form a character from it. Based on this average reading speed, that converts to some 20 to 30 words. Would you waste your precious allotted time with words like “the” “an” or “and”? Recruiters don’t have time to read your resume word for word, it’s would rather be safe and better to say that they just scan it through. When a reader scans, their eyes gloss over some parts of the text. So if your resume summary is a big block of text, it will be extra hard for recruiters to find if there’s anything worth noticing in it. II.List and Highlight Your Notable Accomplishments: If you’ve been working more than two years, don’t skip this step. List down all the accomplishments you remember—the ones that earned you accolades at the office. Plaques, appreciations, certificates, promotions, exceeding annual targets, and monetary awards are good bets. Kudos from your boss or client, hitting a monthly quota, and attendance incentives are too commonplace. Think noteworthy milestone achievements. Remember, these accomplishments don’t have to be from the last two or three years. If you’ve been in the same industry for a while now, accomplishments in your last position—even if it’s junior to your title now—still count. It shows consistency and growth. After creating your list, highlight the three most attention-grabbing and relevant to your target position. For example, managers and executives are prized for their leadership and subject-matter knowledge. Young professionals, however, are more valued for their on-field performance. III.Find the Transferable and Soft Skills that Make You Stand Out: Employees aren’t hired purely due to their technical skills and accomplishments. If that were the case companies would just hire robots.Your transferable and soft skills are what distinguish you from other candidates who have a similar degree and level of experience. It doesn’t matter if those skills you possess aren’t mentioned in the job ad, or if you feel that they will be remotely related to your industry, don’t assume the hiring company doesn’t need them. Go ahead. 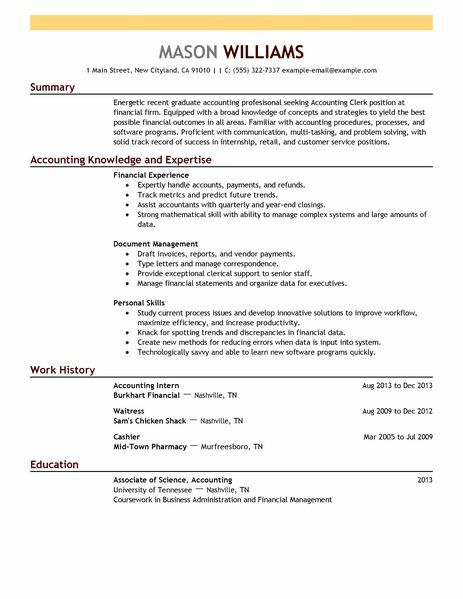 Now you have a rough master list of everything you can put into your resume summary statement. Set it aside for now. It’s time to research the employer’s side of the equation. IV. Scrutinize the Job Post and Look for Key Details: Examine the job post you’re planning to apply to in great detail. Don’t just read it and rely on the keywords that immediately grab your attention. What personality or character traits are they looking for? What are the skills and educational requirements listed? What unspoken needs or challenges does this ad allude to? For example, is there anything in the job ad that suggests you’d have to do a bit of networking and customer service, even if it’s a non-sales position? For example: Let’s analyze this job ad for a Graphic Designer highlighted hints that suggest the skills and keywords they’re looking for, but are either not mentioned directly or could be articulated better when you’re writing a resume summary. Example: Graphic designer job ad. The front line of our workflow: Possibly a client-facing job. Requires good communication skills and understanding of trends and what clients want in the sports entertainment industry. New brand identities: Keywords for this include conceptualizing, brand development, following the client brief, and launching new brands. Knowledge of social media platforms: Familiarity with size and other graphic requirements, such as text constraints. Knowledge of what works well per platform is a plus. Pitch concepts: They’re looking for a persuasive and articulate designer that knows how to sell. This is how you decode a job ad, and subtly include keywords and skills employers are looking for, without looking like you copied the ad onto your resume. Find a way to include the skills and keywords you decoded onto your master list. What technical and soft skills often pop up for professionals in your industry? What awards and accomplishments are displayed on their profile? What does their educational and professional history suggest about career progression? What skills do they acquire as they get promoted? If you have any of those frequently mentioned skills or awards, include it on your master list. VI. Convert Your Master List into a Recruiter’s Wish List (This is the Elimination Round): You’re now at the most challenging step: combining your master list with what the job ad and industry demands. It might hurt to think that not all of your skills and achievements are worth including in the summary. What was all that writing and brainstorming for? Whatever you don’t include in your resume summary statement, can be listed in your resume’s work history or skills section. For now, imagine you’re a strict editor, religiously pruning unnecessary words and information to improve a novel’s plot. Which of my accomplishments are relevant to the skills listed in the job ad? Which of my transferable and soft skills are required (even subtly) in the job ad? Which might be useful in the industry? How can I solve the employer’s problems and add value to the company? How can I differentiate myself from other professionals in this field? What are your top three selling points as a candidate? This includes job-specific skills, soft and transferable skills, and character traits. Based on the job ad, which problems or goals, are you the best person to solve? IT Manager: IT Manager with 8 years of experience in web development and operations management. You’ll get the combined expertise of an employee-centered leader and analytical problem solver that retains and develops top talent while running multiple profit-generating projects. 2.Writers: Research-driven and versatile Freelance Writer that combines journalism and data analysis with copy writing experience to deliver content that generates a buzz. Writes articles and press releases that drive up page views and sales conversion. Professional yet persuasive communication skills used for helping clients build relations with influences and the press. Known for writing revenue-driving landing pages for startups and authors.